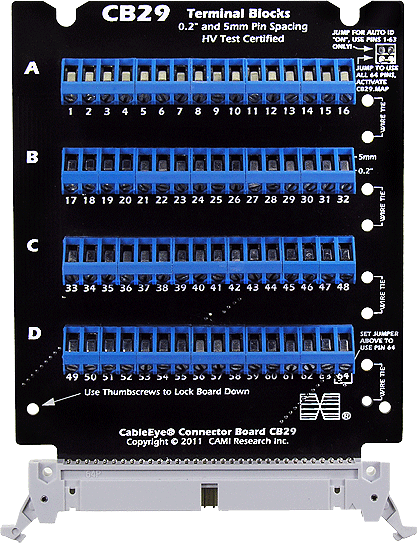 This variation of the CB29 board serves as a transition board between wire harness mating connectors and the CableEye tester. 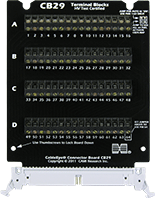 Mount the CB29A on or under a harness board, terminate the mating connectors to screw terminals on this board, and connect the 64-pin right-angle headers to CableEye using 64-conductor flat cable (see Item 854). 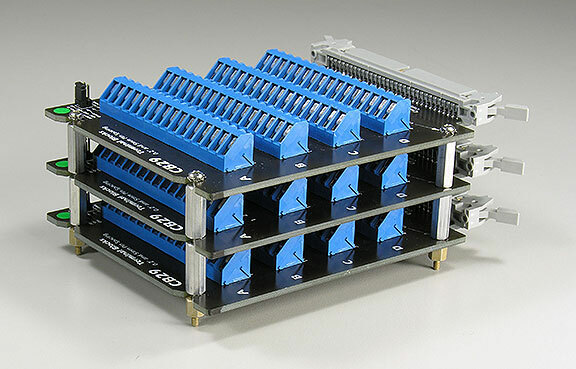 Stackable, as shown in the photo. Includes kit of screws and standoffs. Set of two boards. 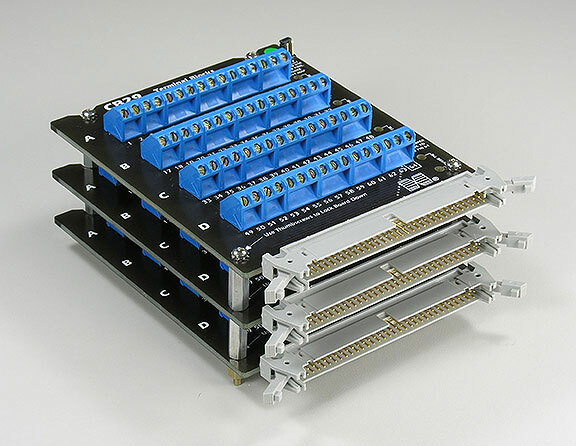 This board will be shipped with either blue or black connectors, depending on availability.